Petrino Guesthouse offers warm and cozy accommodation in 11 rooms which are equipped with all the amenities that can add to a pleasant stay. You can choose among Budget Double Rooms with Sea and Castle View [18 m²], Superior Double or Twin Rooms with Partial Sea View [21 m²], Superior Double or Twin Room with Sea & Castle View [18 m²] or Triple Rooms with Partial Sea View [21 m²]. 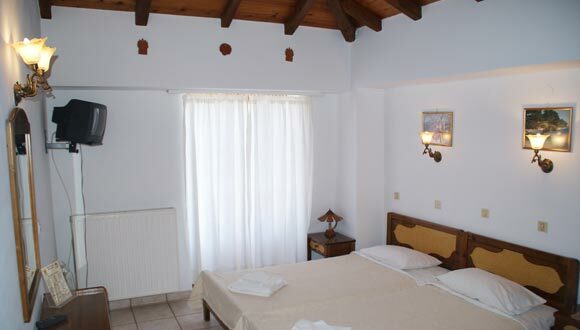 Take advantage of the value – for – money facilities and services of our cozy guesthouse which combines perfect location, well attended decoration, friendly and helpful owners and staff, during your stay in one of the most popular tourist destinations in Greece, all year round. 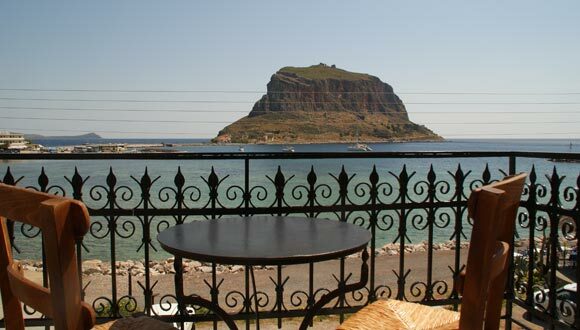 All rooms have a balcony, either with a full or with a partial view to the sea and the Monemvasia’s Castle [Kastro], where you can enjoy a majestic sunrise or an even more impressive sunset. They all have heating and air conditioning, bathroom with shower, television for you to keep up with the daily news and free wireless [Wi-Fi] Internet connection. Non-smoking rooms are also available. 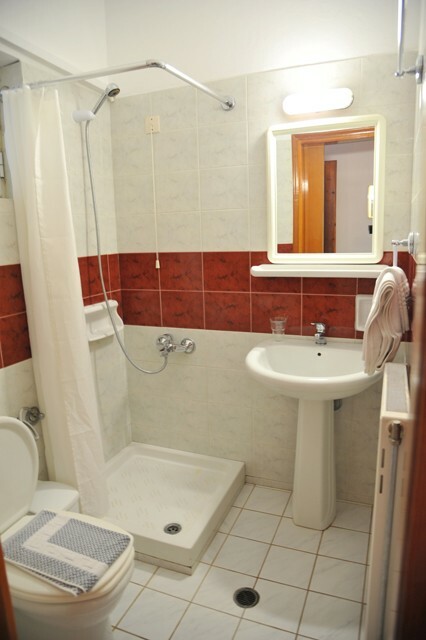 All rooms and facilities are daily maintained, being always spotlessly clean, which is considered as one of the most important characteristics of this lodging. 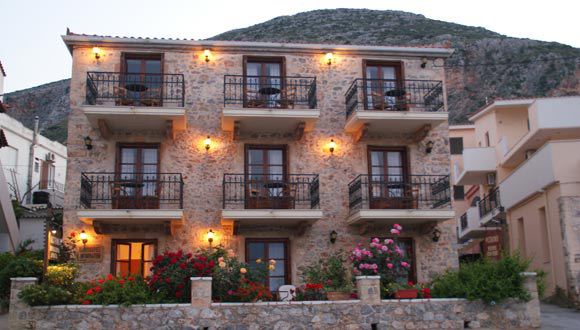 The tradition and architectural style of the area are carefully depicted in the all–stone guesthouse, which is ideally located just 10 meters from the seaside and 100 meters from the Castle [Kastro] of Monemvasia. Stone and wood are perfectly combined, creating a traditional guesthouse that is perfect for all seasons. The building boasts a blossoming garden while the verandas and the balconies offer superb views to the sea and the castle as well. 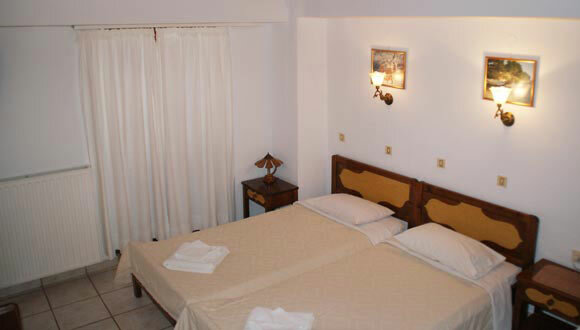 All rooms have been tastefully decorated to create a pleasant area for our guests. In the breakfast area you can enjoy a rich breakfast with fresh, delicious local products while at the snack bar and the veranda you can sip a cocktail or a refreshing drink any time of the day. 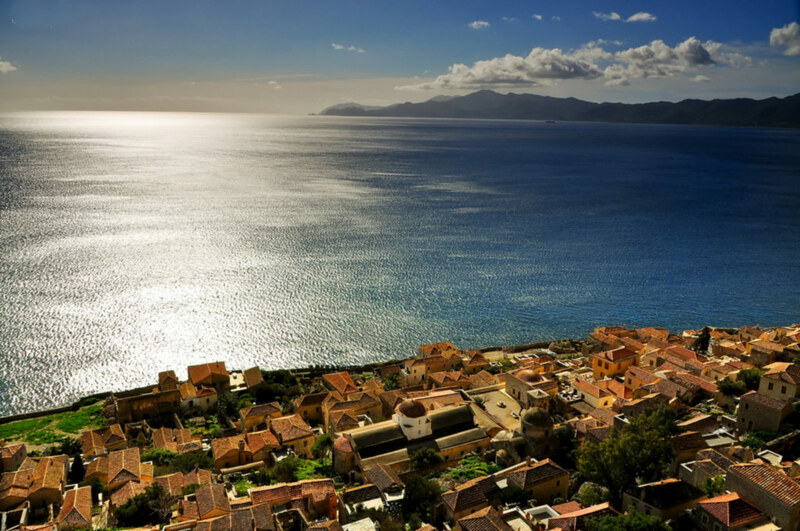 At close proximity you can find wonderful beaches for swimming and bath tanning, while the nearby short trips to Monemvasia and its surroundings will supplement the puzzle of your holidays with unforgettable images and impressions. Should you need instructions or car / motorcycle rental services, the owners and staff will gladly assist you. The guesthouse offers concierge services – express check – in / check – out, facsimile service, photocopy, safe deposit for your valuables and luggage storage, while there is 24 hour high speed wireless [Wi-Fi] internet connection free of charge, for your better convenience. In case of emergency, reception can call a doctor upon request. Should you arrive by car, there is free available parking area [public], and there is no need for reservation.